Commercial LED Bulbs - Northern Lights Display | Banners, Flags, Lighting & More! 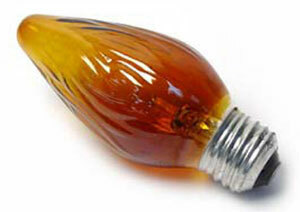 Replacement C7 and C9 bulbs are available with incandescent and LED options. C7 and C9 bulbs are boxed 25 bulbs per box with case lots of 500 for LED bulbs and 1000 per case for incandescent. 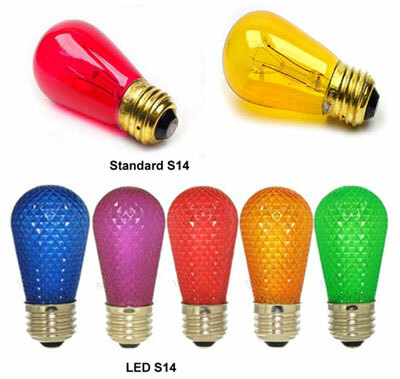 S14 bulbs are not available in incandescent and LED upgrade. 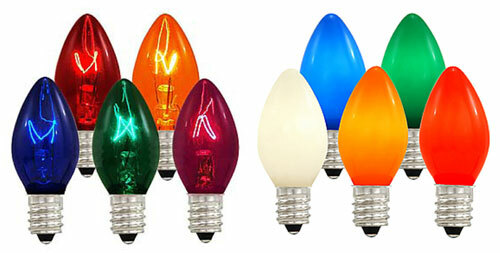 All bulbs are available in a variety of colors.